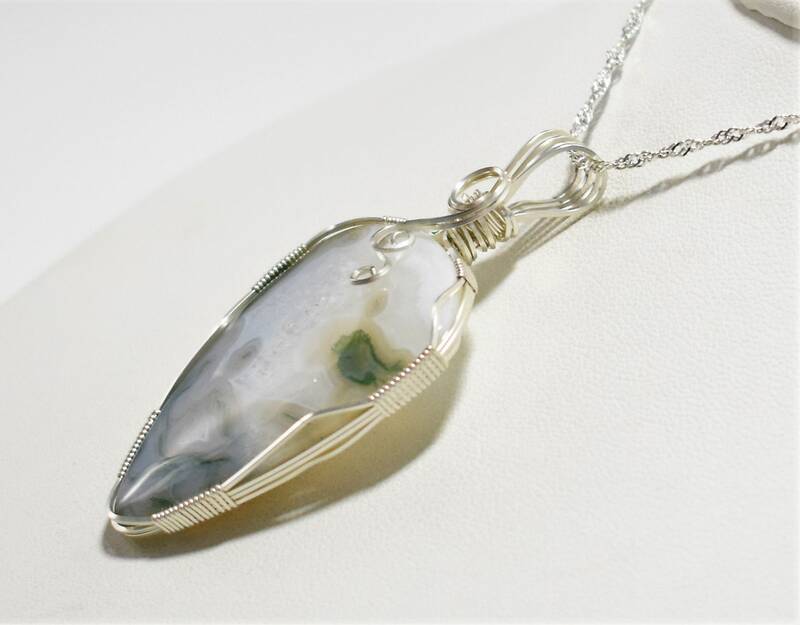 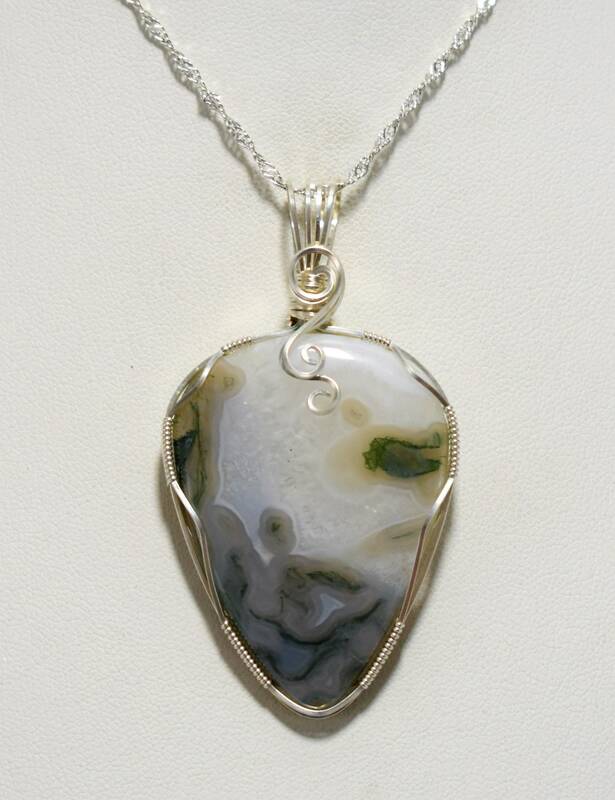 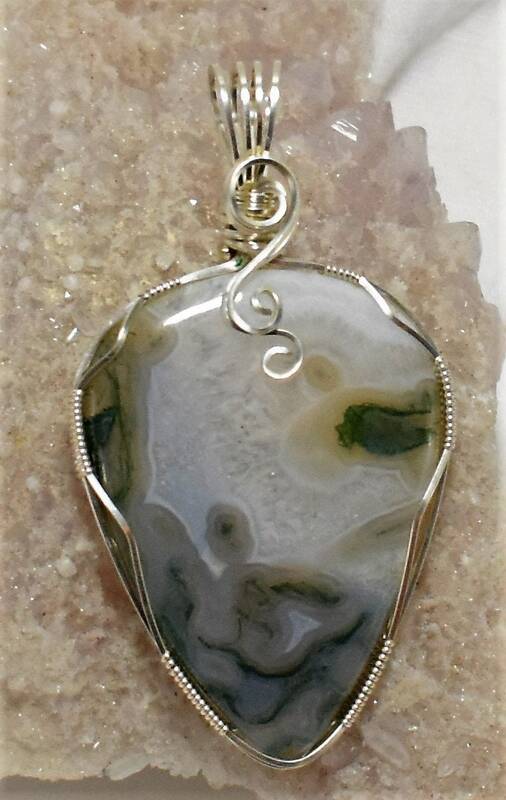 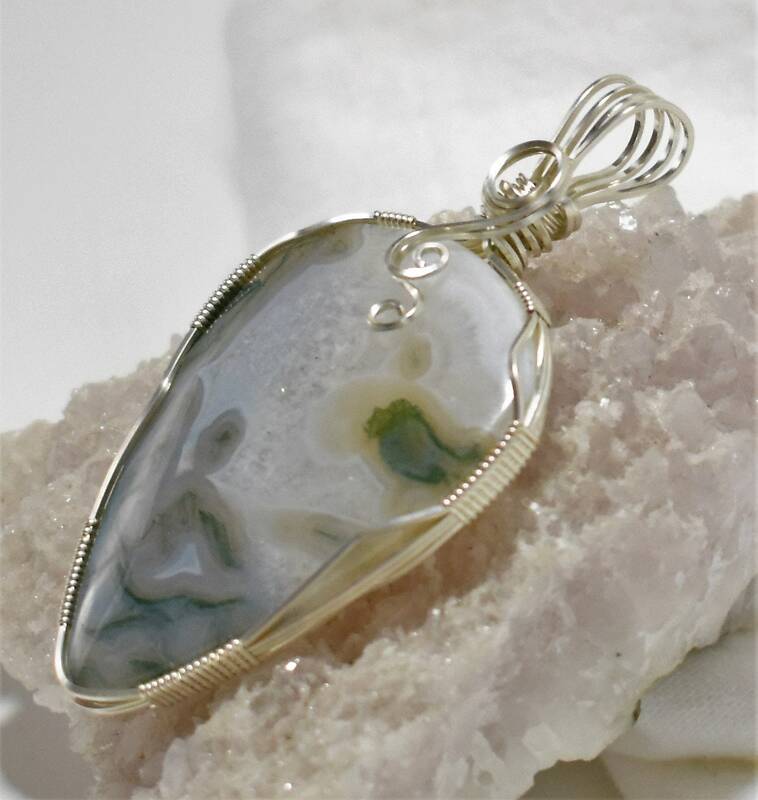 This is a beautiful and interesting Moss Agate cabochon; I love the crystals in the agate towards the top of it -) I wrapped it in Silver filled wire and paired it with a Silver chain. 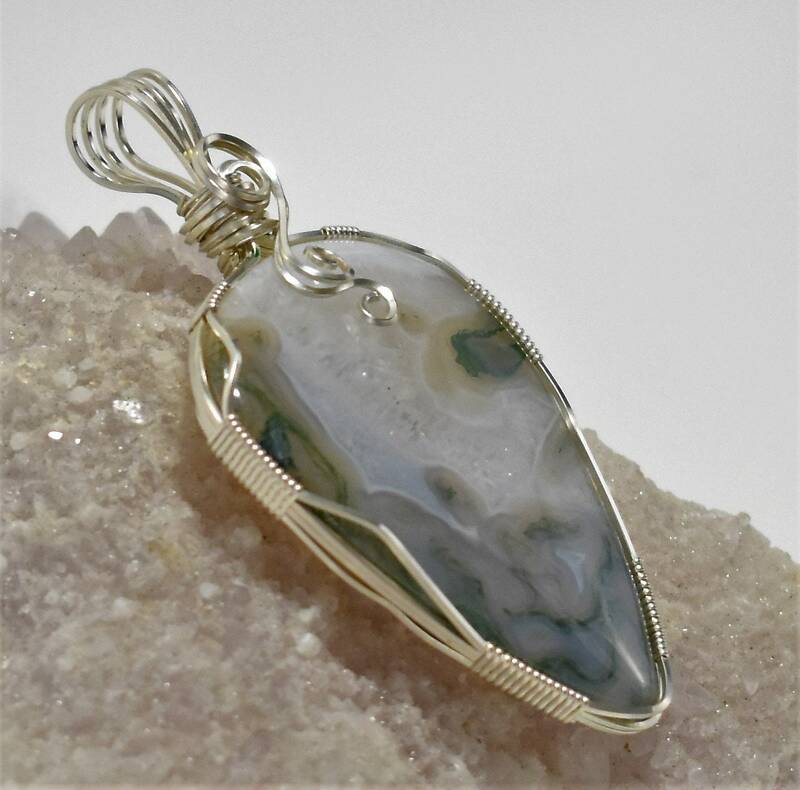 Metaphysically, Moss Agate is a stone of new beginnings; it refreshes the soul and enables you to see beauty in all you behold. 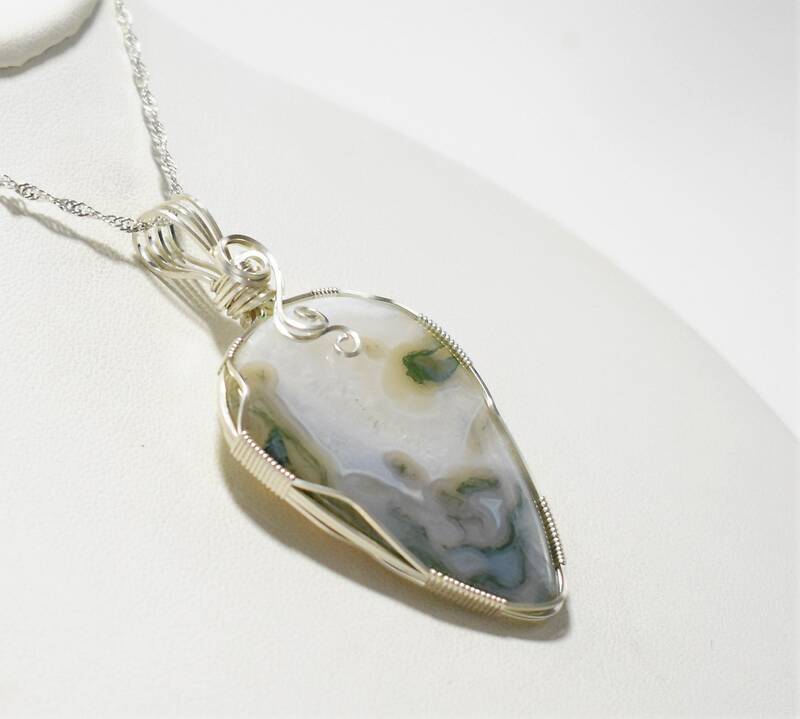 Moss Agate reduces sensitivity to weather and environmental pollutants and it attracts abundance in wealth and improves self-esteem.